 Strains containing Myrcene include: ACDC, Banana Kush, Durban Poison, Granddaddy Purple, OG Kush, and Trainwreck. Myrcene is classified as a monoterpene. Monoterpenes are dimers of isoprenoid precursors, and myrcene is a significant component of the essential oil of several plants, including bay, cannabis, ylang-ylang, wild thyme, parsley, cardamom, and hops. Myrcene is thought to help compounds enter cells through enhancing membrane permeation. 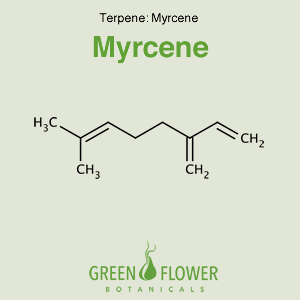 Myrcene has been shown to be an analgesic in mice and did not cause tolerance to the effect. Ther terpene is also noted to have antioxidant effects with mutagenic compounds. Other benefits to myrcene include its ability to relax muscles and induce sleep.